BEAUTIFUL and PROFESSIONAL looking ebooks in a matter of minutes. If you're reading this page right now, I can only assume that you're either selling an ebook, or you plan on selling one at some point in the future. I've made tens of thousands of dollars selling ebooks. I make money every day from them... on autopilot. Since they're digitally delivered, you can keep making money from them for a long time WITHOUT ever having to worry about printing more of them or shipping them to your customers. I could live off of the money that comes into my Paypal account each day from ebooks I set up a long time ago, many of which I've stopped promoting and nearly forgotten about. But they keep making money. Several years ago, it seemed like almost anyone could slap together a few pages of content and call it an ebook. Sadly, the Internet is littered with BAD ebooks! It's gotten to the point that it's hard for customers to determine what's good quality and what's junk. And that's unfortunate, because it means a lot of GOOD ebooks (maybe yours), will be treated like junk. If you're selling an ebook, you probably already know that it takes some hard work to create one (or else it takes your hard earned money to outsource it). But no matter how good the quality of the information in the ebook is, if it doesn't LOOK professional many customers will judge it before they even finish reading the introduction. Does the formatting of your ebook adequately represent the VALUE of the information you're providing? After all your hard work, it would be a shame to give the wrong impression. The fact is, many sellers of ebooks are giving a BAD impression and making their products look like trash. And the truth is, nobody wants to buy trash! But that's exactly what's in many customers' minds when they see an ebook with poor formatting or PLAIN BORING pages. I mean, don't get me wrong. You may have the best-written ebook in the world, but if it LOOKS trashy, your prospects might assume that your content is equally low quality. You'll get a lot of refund requests. You and your business will look less professional. You'll get fewer repeat customers. The good news is that I'm going to help you overcome this problem today! With your new PDF Ebook Templates, you can easily create great looking ebooks using completely FREE software. In case you're not familiar with the software, it's called Open Office, and it's the best open source office productivity software on the planet. Anyone can download it for free. You can create your ebook entirely in Open Office's Writer software, OR you can use an existing Microsoft Word document. This collection of PDF Ebook Templates are designed to be used with Open Office Writer, and they make it a breeze to create beautiful PDF ebooks from scratch, or from an existing document. By the way... Your PDF's will have clickable links, just like the ones created by the more expensive software! You could HIRE a graphic artist to design your ebooks for you, but that could cost hundreds of dollars. And who wants to take the time to find a graphic artist, explain what you need, pay a bunch of money... and then wait for who knows how long to get it completed? Instead, you can simply do a little copy and pasting, and you can turn your ebook into a thing a beauty using ANY of the wide variety of templates available in this collection! Pay a nice chunk of money to a graphic designer to make one for you. Have some graphics skills AND own graphics software like Photoshop. WITHOUT paying hefty fees to a graphic designer, and WITHOUT owning any fancy graphics software like Photoshop! 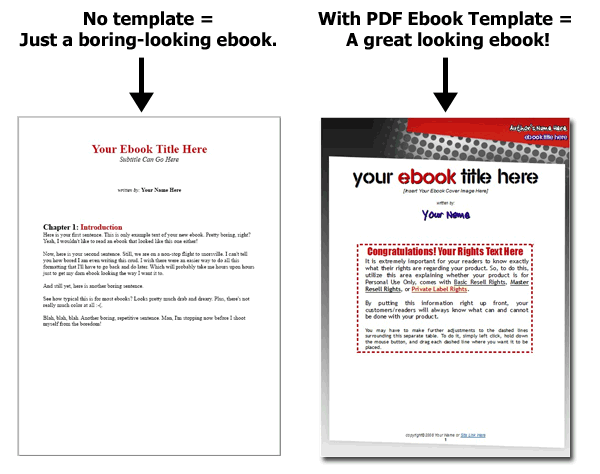 I've covered all the important components of your ebook in these templates. As you can see, these templates include the necessary components to make your entire ebook look better than ever! All you need to do is open up one of the templates inside OpenOffice Writer and add your content. You can make changes to the text colors, the fonts, the line spacing, the backgrounds... you can do ANY customization that you want to do. If you can type... you can use these templates! That's how easy they are to use. When you grab this collection of PDF Ebook Templates today, you'll never have to pay someone to generate a custom ebook template for you ever again. 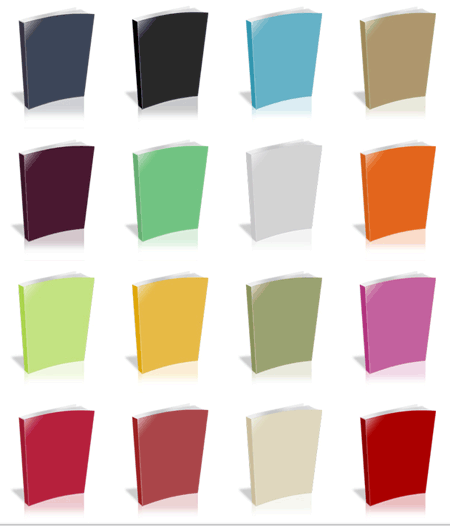 You'll have PLENTY of colors and styles to choose from, to fit ANY ebook that you want to sell! And that's just a sampling! There are OVER 180 Ebook Templates included! Needless to say, you'll have plenty of options to choose from for YOUR ebooks! 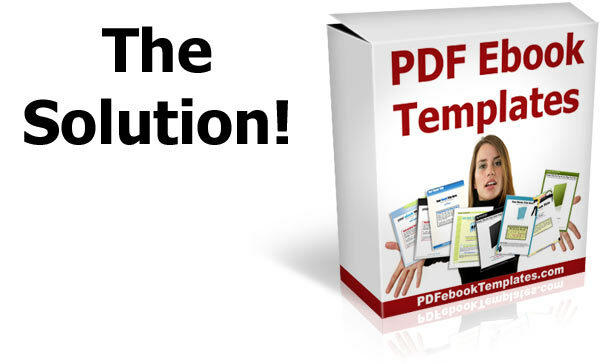 Create beautiful PDF Ebooks that look awesome... with less time and less work! Include a "linked" Table of Contents within your ebook. Convert any Word document or Open Office document into an attractive PDF ebook with a few clicks. Put your own links in your ebooks to get web traffic and make back end commissions. Save time by not having to come up with your own designs. Save money by not having to hire a graphic artist. Keep your customers happy by providing a high quality product with extra perceived value. Cut down on your refund rates! Look more professional... so you can attract more affiliates, more JV partners, and get more repeat business! 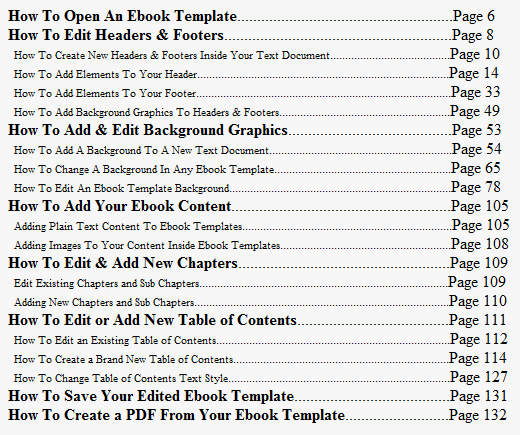 As you've seen, this Ebook Template collection makes creating high quality ebooks amazingly simple! If you have ZERO graphics skills... No problem! 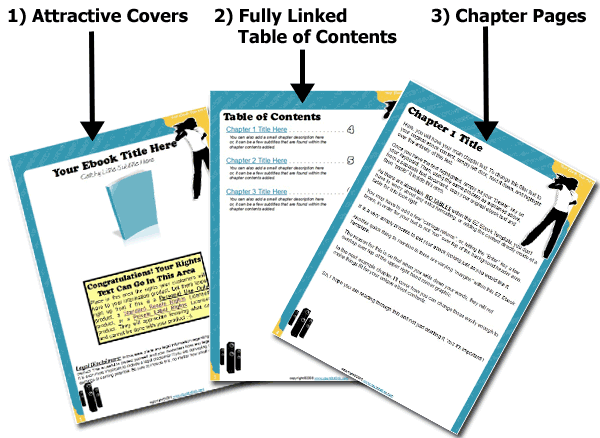 These templates will make it "point and click easy" to create incredible Ebooks! And if you DO happen to have some design skills... that's great too! 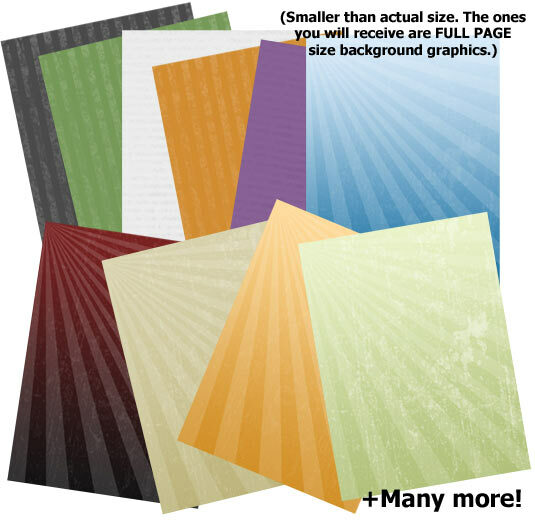 You can import your graphics into these templates and customize them as you desire. I'm even including the PSD source files for many of the graphics included in these templates, so you can tweak them yourself if that's something you want to do. The bottom line is that this template collection will save you money by enabling you to create amazing Ebooks on demand, any time you need them! OR you could invest in this collection today and have the power to create unlimited ebooks... forever! As I've already mentioned, these ebook templates are EASY to use. If you know how to use Microsoft Word or OpenOffice Writer, you can start using your new templates without even needing to read the instructions. But I want to make sure you have all the information at your fingertips so you can customize your templates and use them to their maximum potential! There are helpful screen shots throughout the entire manual so that you know precisely what needs to be done, and where, to complete each editing step easily. Basically everything you would ever need to know about editing, or creating your own ebook templates from scratch, has been included inside this one-of-a-kind easy start up guide. I've thrown in five "Quick Start" bonus videos that will take you by the hand and show you exactly how to customize your ebook templates to meet the needs of your ebook project. For example, maybe you like a certain template but would prefer to change the color scheme and some of the graphics? No problem! These videos will show you how to do it... in less than 36 minutes total! You will download the videos with your Ebook Template collection today, and you can view them on any computer operating system (Windows or Mac). Can it get any easier? Not unless I came to your house and did everything for you! You will receive JPG and PSD files for the above backgrounds and many more... PLUS many other extra graphics, with source files! OK, so you've seen how these PDF Ebook Templates can make your ebooks better, and save you money over and over again. Instead of paying $99 or more for ONE ebook design, you can simply make your own... any time you want, as often as you want! These PDF Ebook templates are truly the most exciting package of ebook templates you will ever download . . . . Anywhere! You've seen how it will put more money into your pocket by boosting the perceived value of your ebooks, while cutting down your refund rate. On top of that, I'm throwing in those great Fast Action Bonuses valued at over $160.00. That would be less than $1 per template! In an effort to make this collection as affordable as possible for those who need it most, I'm offering a special one-time introductory special price for a very limited time. 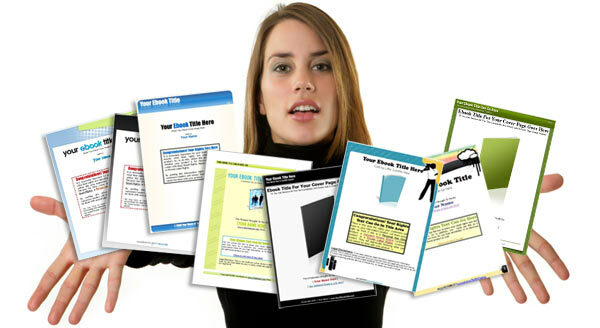 YES... You can have the PDF Ebook Template collection for only $37 on this visit! That's only 20 cents per template!!! Remember, this offer is ENDING SOON. YES, I want the PDF Ebook Templates! Yes, I want to make great looking ebooks! Yes, I want instant access to the templates right now plus the fast action bonuses. Try it risk free today! I believe in these templates so much that I'm giving you complete access to the entire collection at my risk, not yours! I'm willing to do this because I believe they will truly help improve your business. If you're not satisfied with the collection, just let me know within 60 days of your purchase and I'll refund 100% of your purchase. After 60 days, all sales are final. 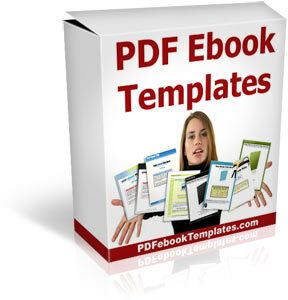 Thanks for taking the time to check out this great collection of PDF Ebook Templates. P.S. - Are you EVER going to sell an ebook at some point in the future? If so, do yourself a favor and grab this now so that you're not stuck paying high prices to a designer or spending weeks trying to figure out how to design it on your own. The only thing left is for you to say "Yes" and take advantage of this incredible offer before it's gone. Your small investment today is a tiny price to pay for the future success of your business. Copyright by Eric Holmlund LLC - All rights reserved.